During the development phase of this device, we had blocked benchmarking sites/apps. Now that it is released to our customers this fix will allow users to download benchmarking apps on their note 3. Hope that answers your question. 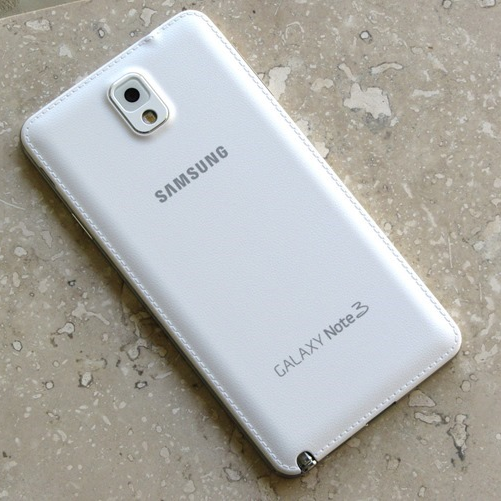 So presumably any favorable treatment that the Galaxy Note 3 demonstrated in review units, as shown by the Ars Technica report below, is still in effect. The thing we're interested in here is the "Restriction to benchmark sites removed" line. We've reached out to Sprint and Samsung for clarification and have yet to hear back. What that could mean is that the whitelist for benchmark apps on Sprint's version of the Galaxy Note 3 will be removed almost immediately, so that the phone will return benchmark scores that more accurately reflect day-to-day usage instead of the highest theoretical performance. That's how benchmarks should be run, but Samsung isn't the first company to be found with its finger on the scales, and this isn't the first benchmark controversy to come out of the Korean company. The current benchmark results aren't technically incorrect, but they are misleading, due to the fact that normal apps simply don't have access to the kind of processing power that the benchmark results would suggest. 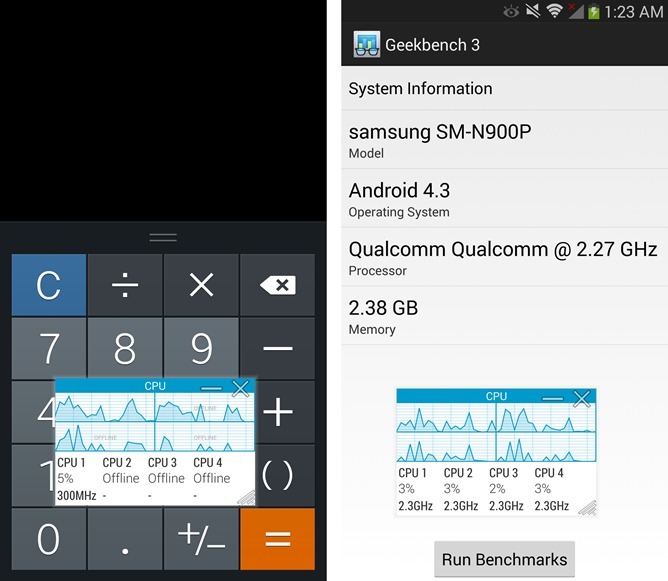 In "benchmark mode" the Galaxy Note 3 is unable to idle or scale down on any of its cores - see below. By the way, this is why we tend to report on real-world performance in our reviews instead of relying solely on benchmark results. You can see a review of the Sprint Note 3, presumably with the skewed benchmark feature, here. Ars Technica screenshots show the "Benchmark Mode" on a Snapdragon-powered Galaxy Note 3. I'm sure there will be plenty of users who'll be willing to poke around the updated software to see what's actually going on, especially since it's being disseminated to Sprint customers on day one. It will be interesting to see if a similar update goes out to the Snapdragon-equipped Note 3 models on the rest of the American carriers.